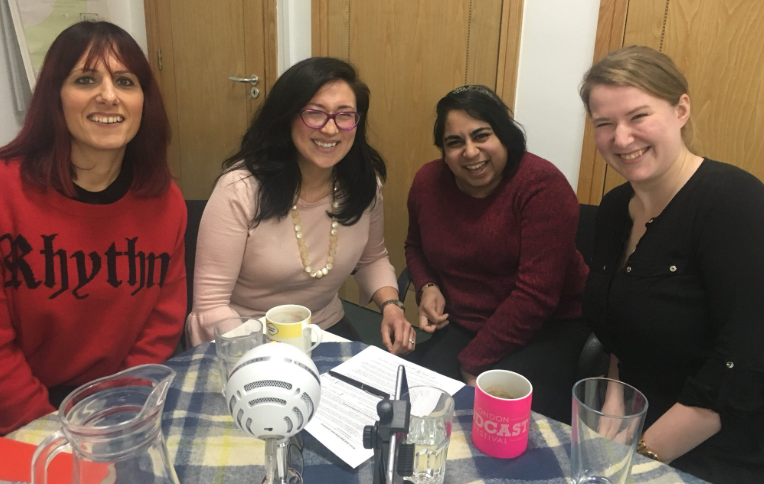 Home › Knowledge Hub › Thought pieces › Podcast: what does it take to drive digital change in charities? We don’t need to preach the benefits of digital. You already know we are well and truly hooked. As Brani Milosevic points out in the latest episode of the CharityComms podcast, very few people are untouched by digital. Every day, you’re using your Oyster… You’re paying with your credit cards and using contactless. You are using a mobile phone of course. You’re shopping online, we’re a nation of online shoppers. In the first part of the first episode, we heard from Jon Ware, previously the digital lead at Anthony Nolan, and Chris Flood, content strategy lead at Cancer Research UK: two exceptional digital leaders who have been instrumental in transforming digital functions in their organisations. But ultimately, the charity sector needs a culture shift to truly adopt digital. Where do these drivers lie? Do you need advocates of digital, championing it throughout the charity, or do you need a CEO, board and leadership team who are committed to the realisation of digital transformation? To find out what works best, we invited two digital leadership experts to share their thoughts on the topic. For part two, we’re joined by Brani Milosevic and Zoe Amar, two freelance consultants who have lots of experience challenging third sector organisations to take up the challenge of digital transformation. Brani is the founder and director of Digital Leadership Ltd, which works with some of the UK’s biggest non-profits and Zoe is the co-author of the Charity Digital Skills Report and the Charity Commission’s digital guidance for trustees. Brani and Zoe shared their insight and expertise on what makes digital leadership, what charities could look like in 10 years and how to set your organisations on the right path towards digital transformation. Thanks to our guests, Brani and Zoe, for joining us. And thank you to the listeners of the first part of episode one, who got in touch about how much they enjoyed it and with some really useful feedback. We really appreciate it. We’re working on improving the sound and have upgraded our kit to do so. Sushi has spent a lot of time learning about the sound and would be happy to chat to anyone who’s interested in learning more. As always, if you’re interested in podcasting at your charity, check out this article on charities who podcast. We’re also keen to hear from people who want to get involved, so drop us an email or tweet us! Listen to the second part of first episode on AudioBoom or from your desktop or download from the podcast app on your iPhone. You can also find it on Spotify. If you need a copy of the full transcription, you can find it here. Part one of this episode, Digital leadership: challenging the status quo. Podcast: why is content strategy buzzing this year?